For some reason, Monday night has its own dinner. I don’t know how this came about but I cook the same thing on Mondays. 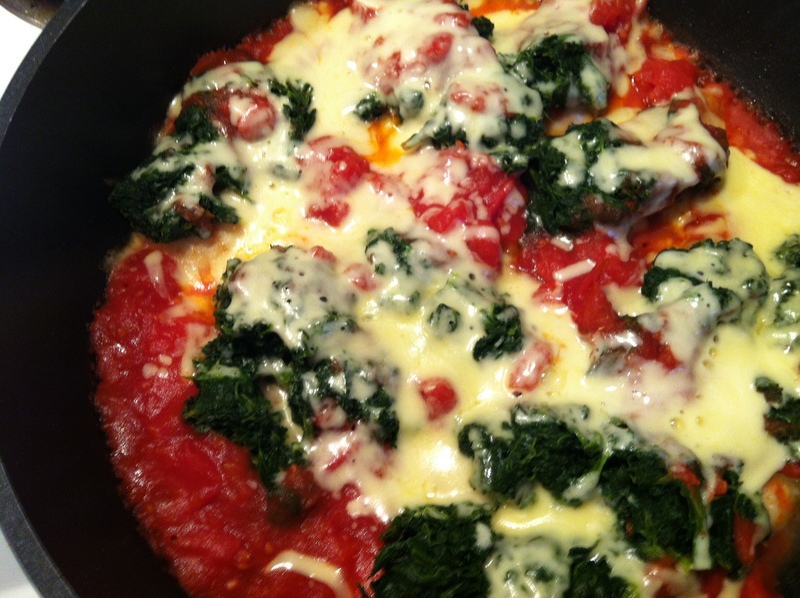 I wish I could think of Tuesday – Sunday meals and just have the same thing but I guess that would be very boring. Anyway, I love Monday because I don’t have to think about dinner ALL DAY LONG. I just have to make sure I have the ingredients. 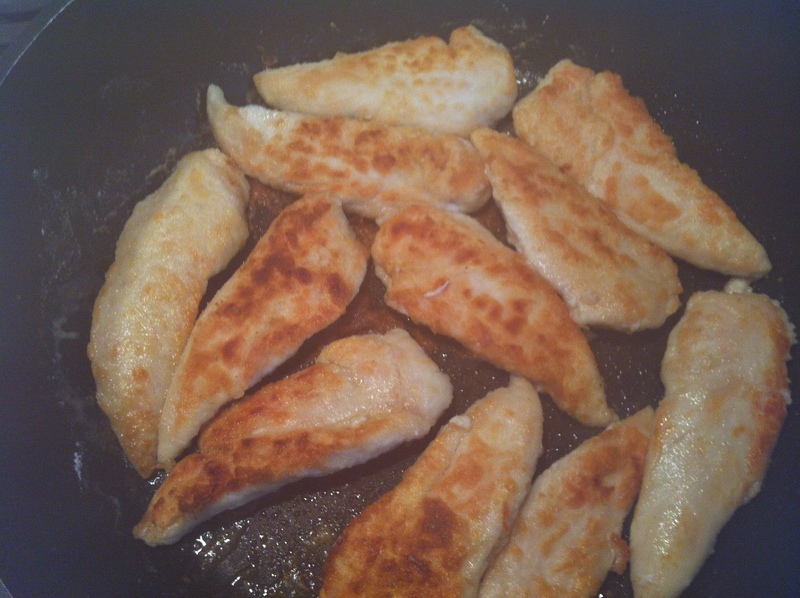 For anyone who might be interested, I don’t eat red meat so nearly everything I cook involves chicken, usually tenderloins, wings and drumsticks. Mostly tenderloins. So on Mondays we have chicken, spinach, tomato and cheese with either rice or fried potatoes. If you are still with me, here is how I do it. One cup of rice in pot with a little olive oil on medium high heat. Stir. When rice is starting to go opaque, add two cups of boiling water (from the kettle) with a little salt. Put the lid on and turn down to low but still simmering. Set timer for 20 minutes and don’t touch. After 20 minutes stir and turn heat off (electric stove) and leave lid off and let dry out. Dust chicken in flour. I add garlic powder, salt, pepper and chilli flakes/powder (sometimes). Put into a hottish pan with olive oil and brown on one side. Squeeze moisture from frozen spinach. 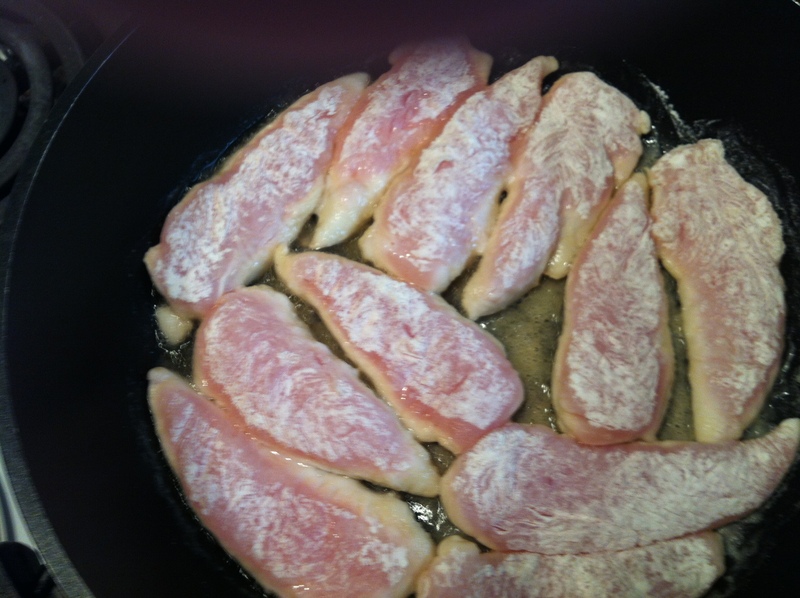 Turn chicken and reduce heat to low. 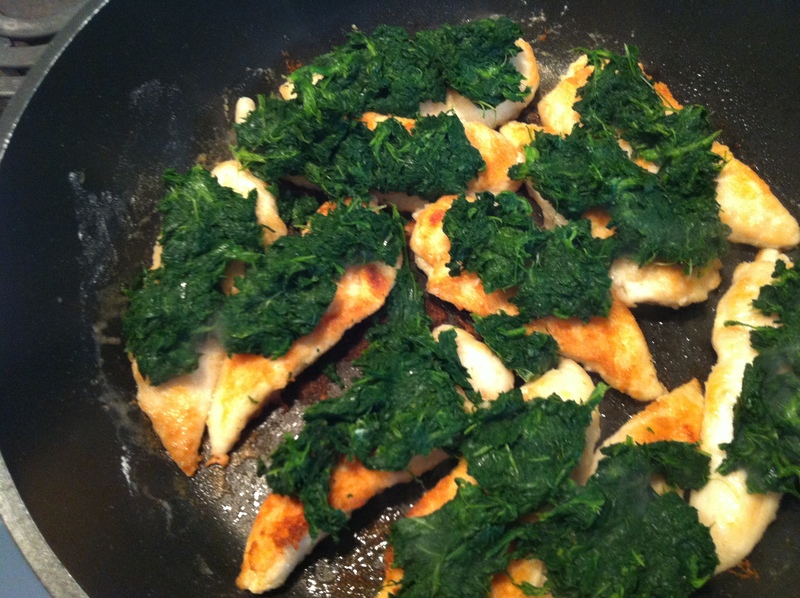 Put lines of spinach on top of the chicken. 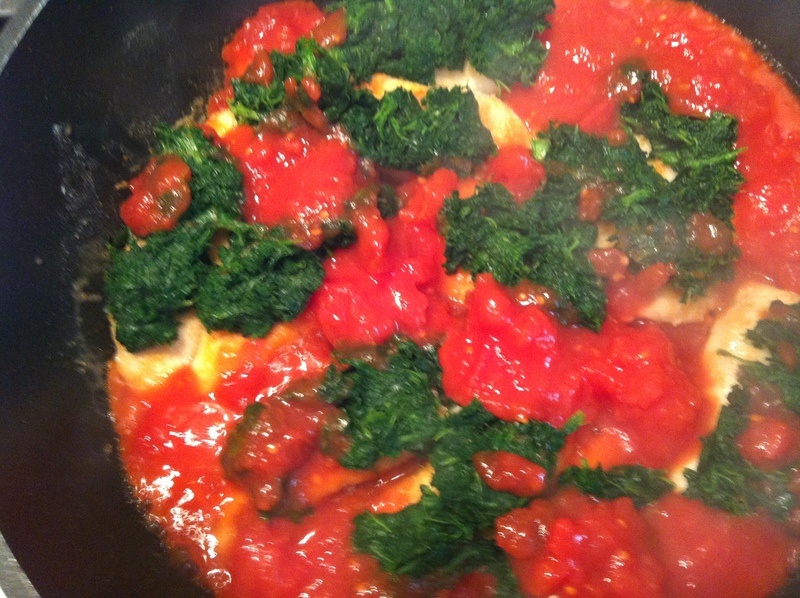 Pour diced tomatoes around the chicken. Cover chicken with shredded tasty cheese and put a lid on until cheese melts. The chicken will be cooked by the time the cheese melts. For the fried potato option, I have a Borner v slicer that is fantastic for slicing thin even pieces. I microwave the potatoes for 5 minutes under water and then drain and transfer to a hot pan turned to low and put a lid on and turn them every now and then until brown. Add salt. 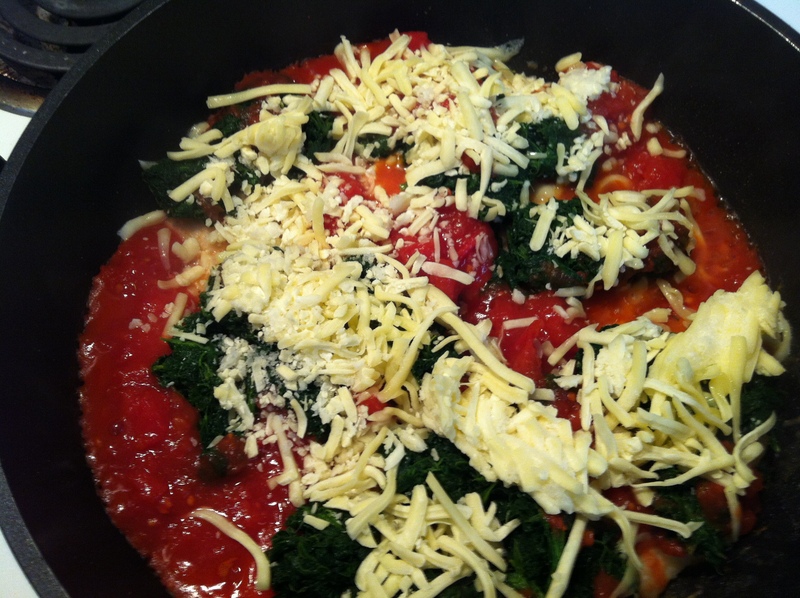 I usually add more cheese than this but that was all I had. Monday night dinner. The Italian colours.